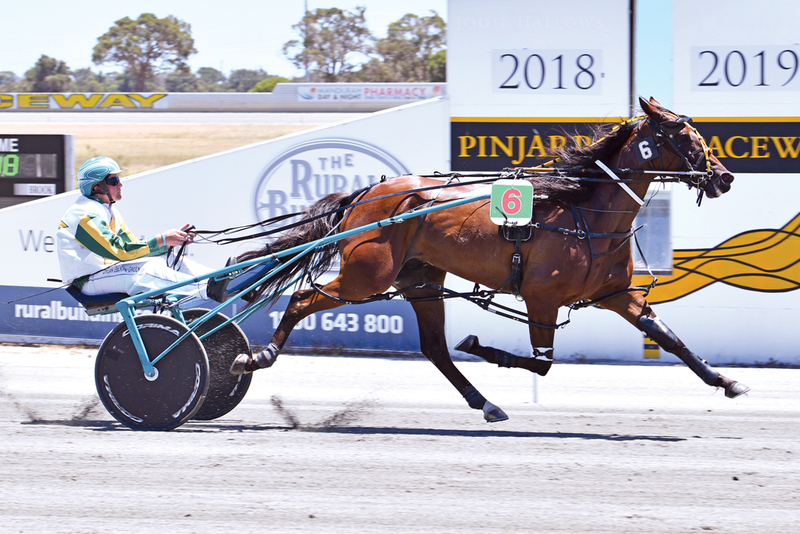 EXCITING youngster Patrickthepiranha is expected to have little difficulty maintaining his perfect start to the season at Gloucester Park on Friday night. Unbeaten from six outings for the term, Patrickthepiranha is engaged in the Caduceus Club Classic for trainer Colin Brown. Drawn to lead throughout from the pole, the son of Four Starzzz Shark has been installed a $1.50 favourite with TAB Fixed Odds. Returning from a month’s break, Patrickthepiranha is ready to add the feature to his growing tally according to Brown. “He is a nice horse which is getting better as he goes along,” Brown said. “He’s won his last six and seven out of nine and is unlucky for it not to be eight of nine. “We don’t normally draw a good alley in big races so I’m chuffed drawn one. Along with Patrickthepiranha’s starting position, Brown is pleased to see the gelding’s strongest threats have drawn awkwardly. “We’ve also been fortunate that his main dangers Shockwave and Franco Edward have drawn badly,” Brown said. Should Patrickthepiranha continue to race at his best Brown will take aim at a host of features, beginning with the Australian Pacing Gold series, which begins with heats on March 5 and leads into a Final 10 days later. Brown has also earmarked the Western Gateway, Western Australia Derby, Pearl Classic, Westbred Series and Australasian Breeders’ Crown as part of the three-year-old’s agenda.